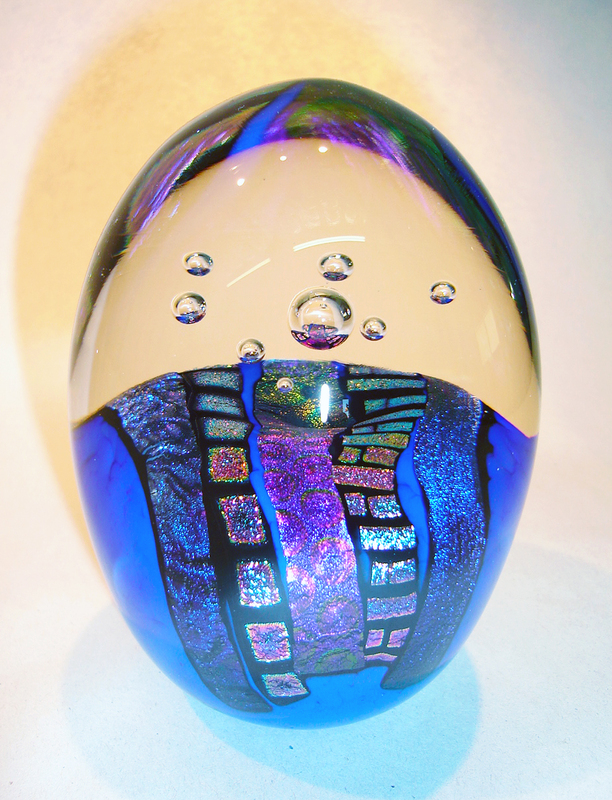 Our dichroic glass paperweights are made with layers of clear molten glass and specialty sheet glass. First we are rolling into molten clear, then into an opaque colored glass powder. We are melting the layers together and picking up strips of dichroic glass on top of that. After we shape the dichroic layer into a round ball, we then gather a thin layer of clear on top of that. With an ice pic we poke into the surface, making indentations. Adding one last layer of clear, these dimples will trap air and create floating little bubbles inside. They look like little planets floating over a dichroic landscape. 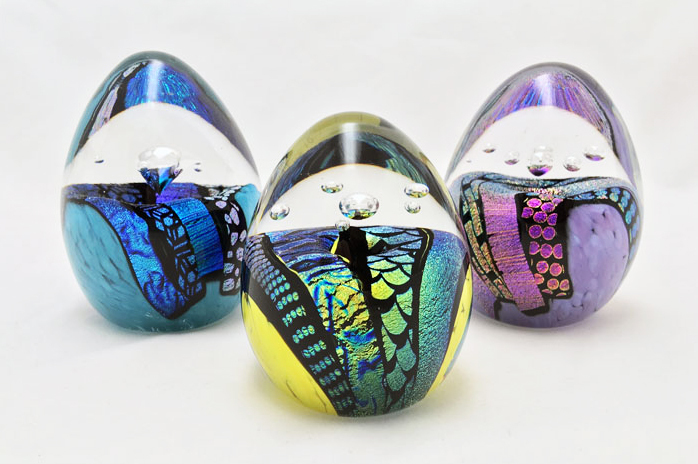 With a unique little atmosphere that we have created within each egg, these become very collectable. 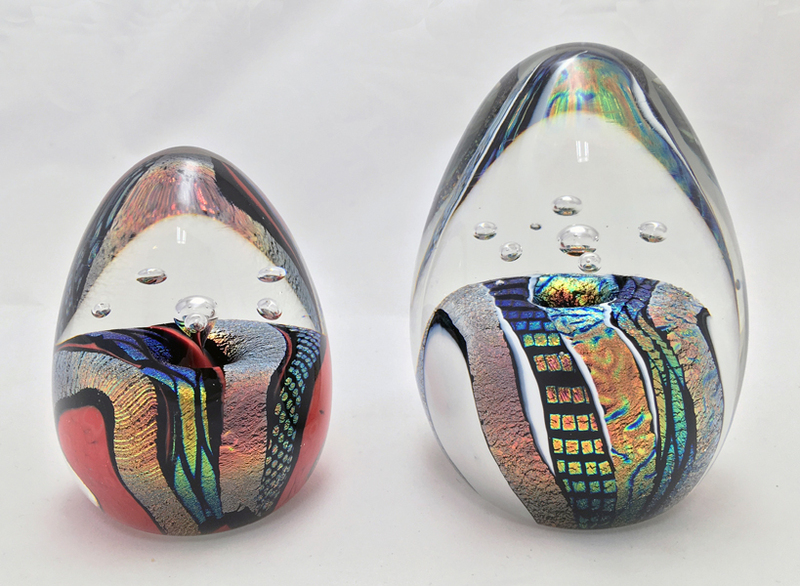 Most of our paperweights we make are an oval or egg shape, however round globes and flat dome shapes are also available. We also like to mention that we optically polished and sign each piece. 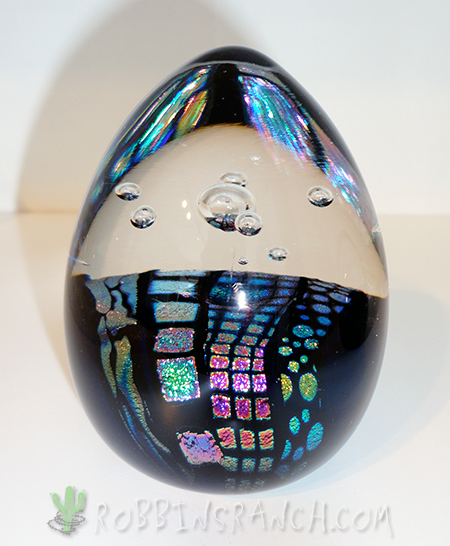 For additional images of the dichroic paperweights in stock, please send us an email or give us a call.